200 Channel Handheld Scanner with 800MHz Coverage. Great for NASCAR! 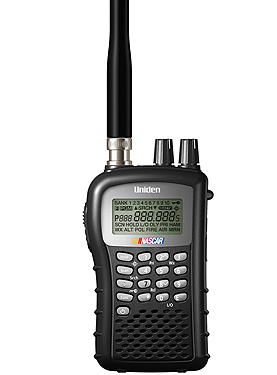 The Uniden BC92XLT is designed to be compact for added flexibility and portability. Frequencies are Preset in Separate Police, Fire/Emergency, Aircraft, Ham, Marine (by channel) and Weather Banks to make it easy to locate specific types of calls. Please NOTE: This is a refurbished Scanner. It comes with a 90 day warranty. However extra warranty may be purchased as an option.